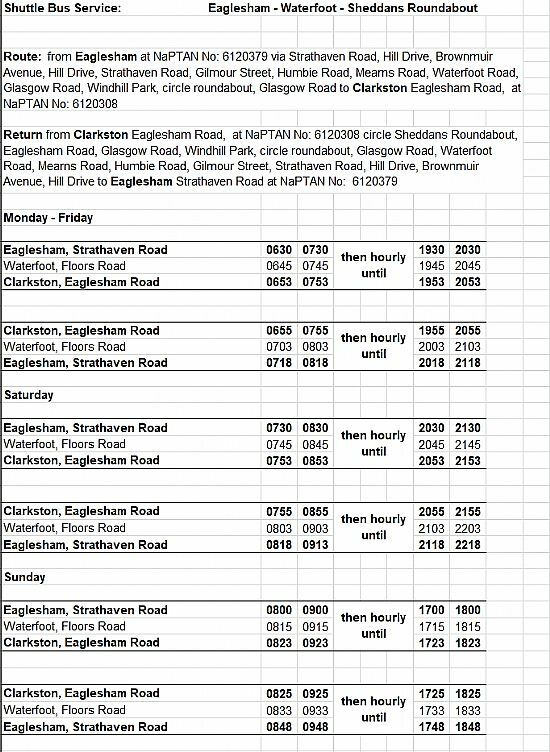 4A bus - shuttle route and timings to Eaglesham during roadworks. Email received this morning from ERC Roads Dept. Thank you for your email of 5 October regarding the bus service to and from Eaglesham whilst works are ongoing to resurface Glasgow Road. 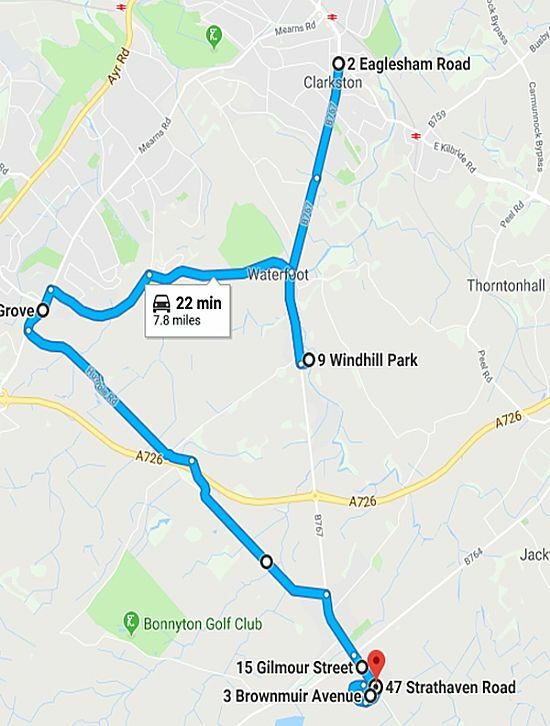 As previously promised, I now attach details of the route and timetable the shuttle bus will be using whilst Glasgow Road is closed as supplied by SPT. SPT are currently seeking prices from operators to provide this service.